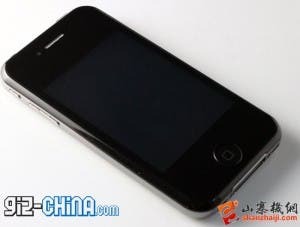 The latest rumor is that the iPhone 5 MAY ship at the end of September, but the impatient Shenzhen guys have jumped the gun again and already launched an iPhone 5 clone! Update 3: 5 Places you can buy an iPhone 5 clone. Update! Hands on video of the iPhone(y) can be seen here. 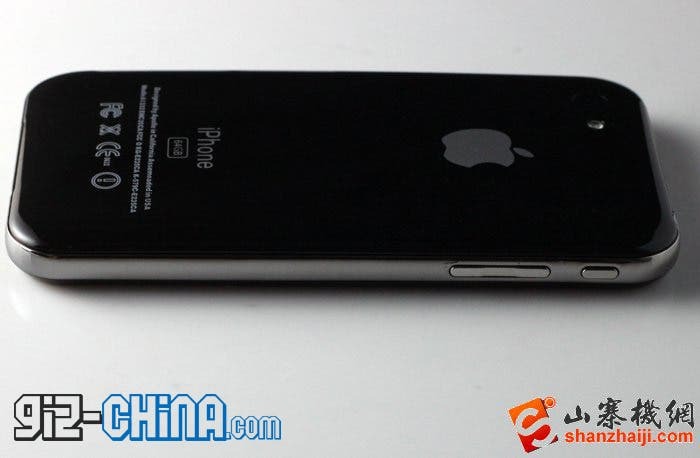 It’s not the most awe inspiring clone, to us at least, we’ve seen and, but it does look to follow the shape those leaked iPhone 5 case designs pointed at. The body is a very thin, 7mm!!! black plastic affair with the usual iPhoney (comedy drum roll) cameras, LED flash, plus controls for power and volume. The rear of the iPhone 5 knock off states its a 64Gb model, something which we highly doubt, and also has all the FCC and safety markings you would expect on a real Apple product, only in this case they mean absolutely nothing! 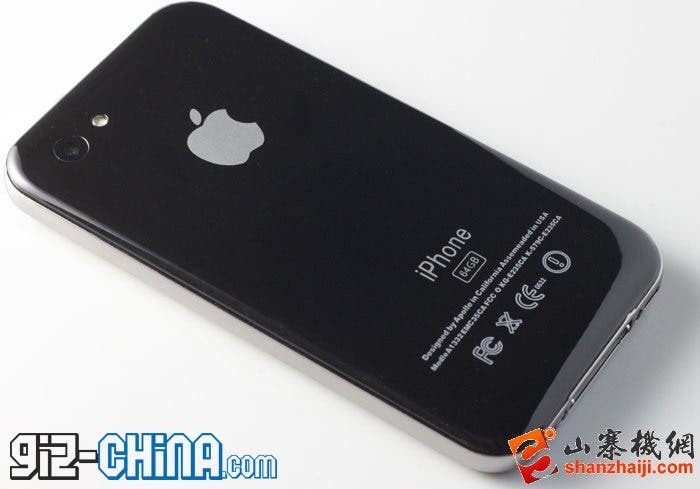 Why wait for the iPhone 5 to come when you can buy this fake now? For 699 Yuan ($108) you get also get a JAVA based OS, MP3 and MP$ playback and WI-Fi.